Coastal Styled Shoot - Fine Art Film. On a chilly, late-Winter day, the Indian River Lifesaving Station provided all the perfect elements for this coastal styled shoot in Delaware. With pristine beaches, gentle sunlight, and not another soul around, this shoot had all the trappings for stunning natural inspiration. 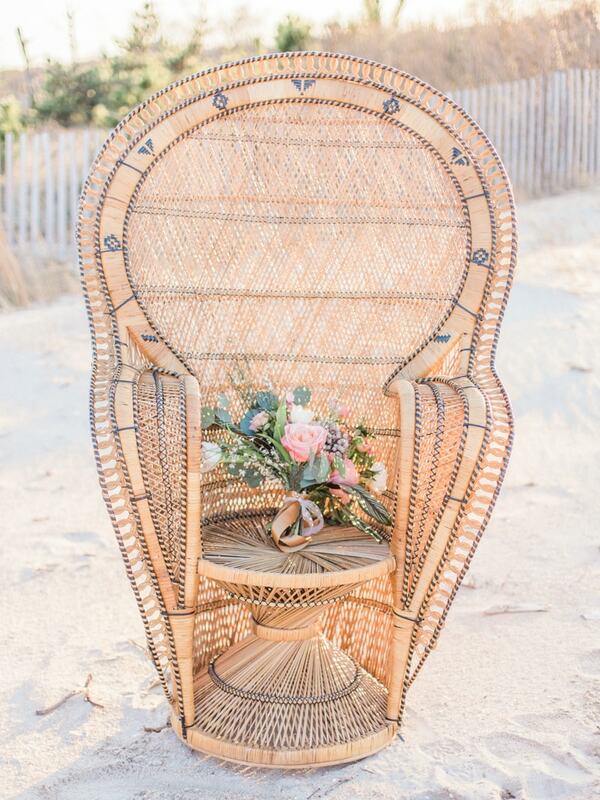 The shoot starts with a high-back rattan chair, expertly accented with the bride’s bouquet. The bride wears her hair in a beautiful side-braid, perfect to withstand the beachy breeze. She dons a fluttery V-neck gown and showcases her gorgeous bouquet, full of pink roses, succulents, silver dollar eucalyptus and more. 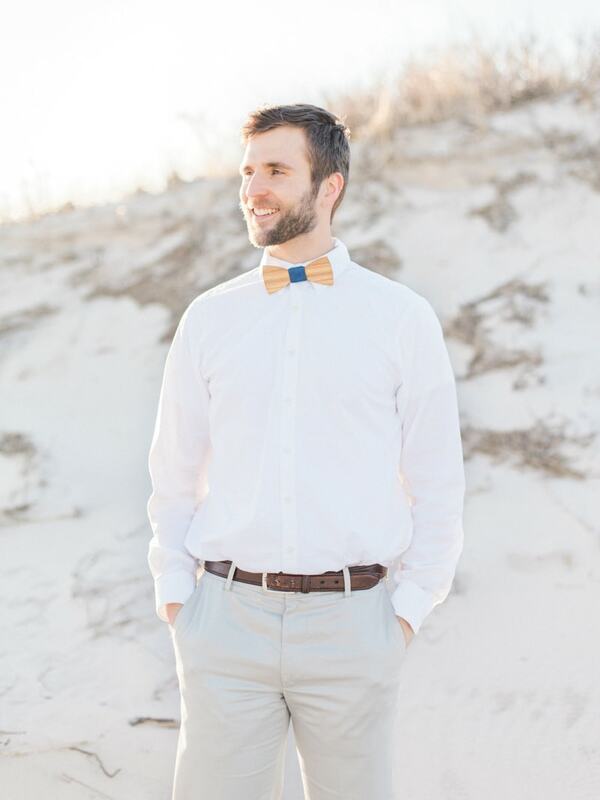 Beaming, the groom looks handsome in a white shirt, khaki pants, and adorable orange and blue bow tie. 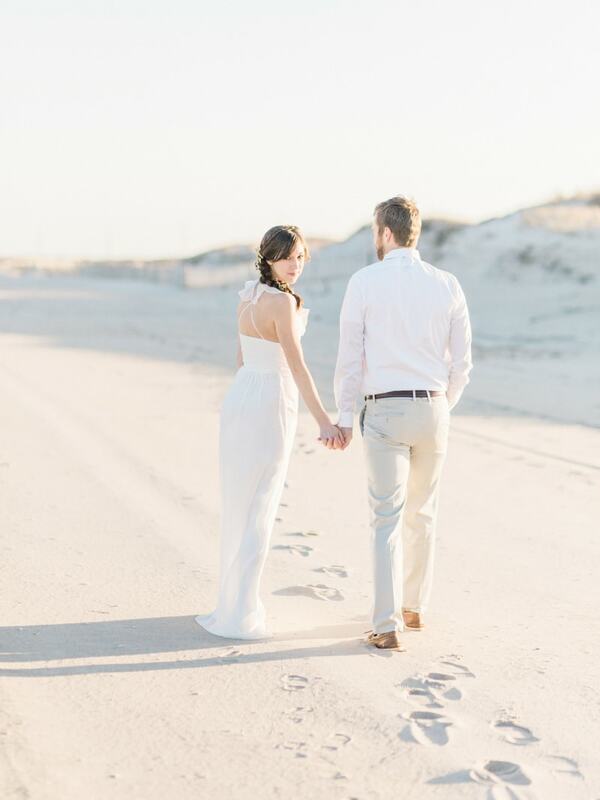 With the beach all to themselves, the bride and groom walk hand-in-hand whikle the sand dunes stretch shadows across the beach. A gorgeous ring set is made all the more sentimental by a central diamond belonging to the bride’s grandfather. With her back to the camera, the bride shows off the unexpected crisscross open back design of her gown. A celebration isn’t complete without dessert and the team ingeniously includes sand dollar cookies that look almost too real to eat. The cake is the perfect marriage between beach and romance. The pink and white marbled effect is lovely and unique, while the coral cake topper is a novel and appropriate touch. Soft pastels and brilliant whites outfit the reception tablescape. A white table linen is anchored by a runner made of florals. 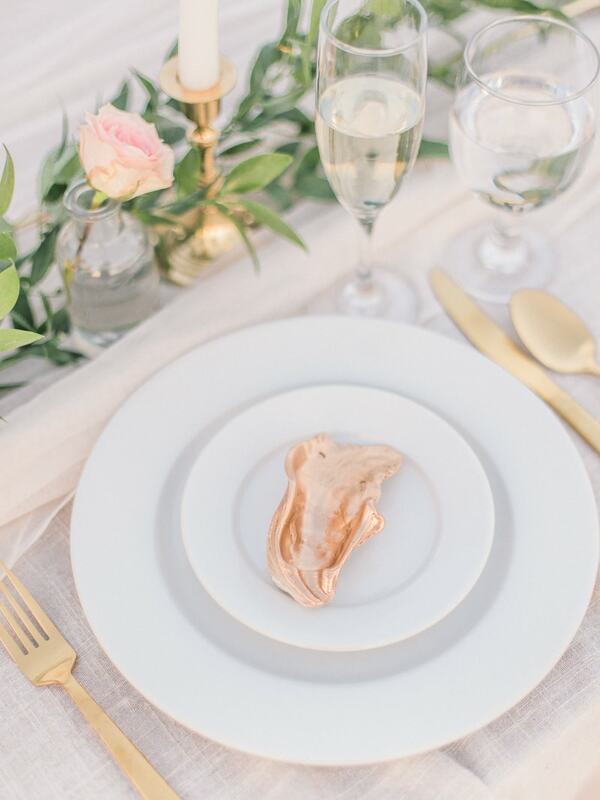 Each place setting includes white china and a gold shell to echo the theme. As the sun climbs higher, the couple embrace and enjoy every second together. And while the day and its shadows grow longer, the two lose track of time in each other’s eyes. 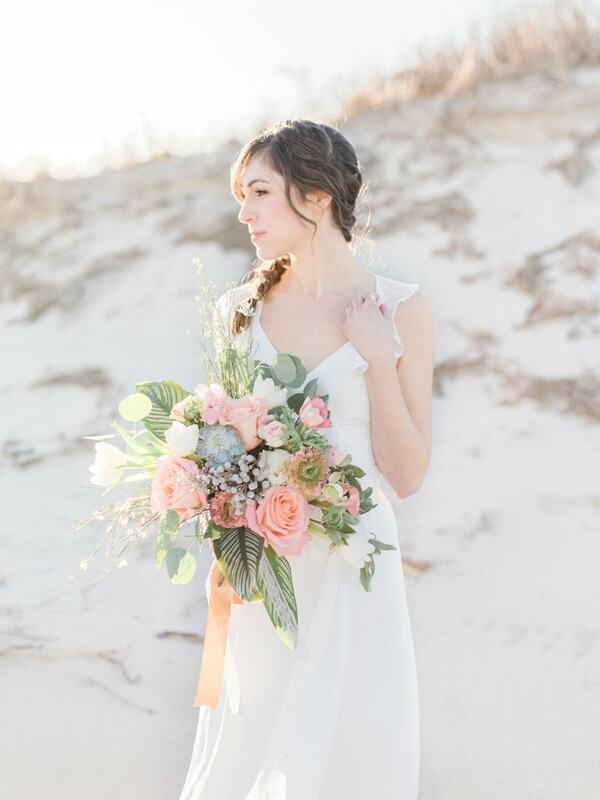 This impeccable coastal styled shoot brings together natural and stylish accents to create a true experience on a beach in Delaware. A soft color palette, a deserted beach, and gold accents elevated this experience from beachside ceremony to romantic coastal affair.